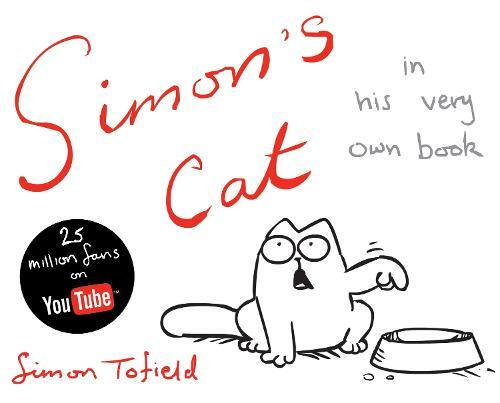 With over 20 million hits on YouTube in little over a year, Simon's Cat, is a genuine word-of-mouth phenomenon. Fans from all over the world have fallen for this adorable but anarchic feline who will do just about anything to be fed. Simon Tofield's beautiful drawings and warm humour come alive on the page in the first of a series of irresistible stocking-filler humour books. This book was great! but I can see why the bad reviews..it is only funny if you have a cat, all my family members loved it!!! would recommend! Perfect for anyone who has or has ever had a cat. Simon gets the characterists down to a T, from jumping on your chest in the middle of the night to constantly wanting to be fed, this book is the cat lover's dream. I love this book and have recently bought a copy as a birthday present for my friend who loved it as well. It is suitable only for lovers and owners of cats though as nobody else will understand and find it funny.